A frontier between design and art, the undulating shape of this piece was envisioned from the intriguing chemical reaction, which occurs when a material liquefies and subsequently solidifies with changes in temperature. Its fluid and unusual form is moulded from fiberglass filled with expandable polyurethane. Finished in a high gloss its name, Monochrome, is a reference to the use of a single material with a uniform and matte tone of electric blue; a colour that translates the vivacity and emotion which is expressed in this piece. 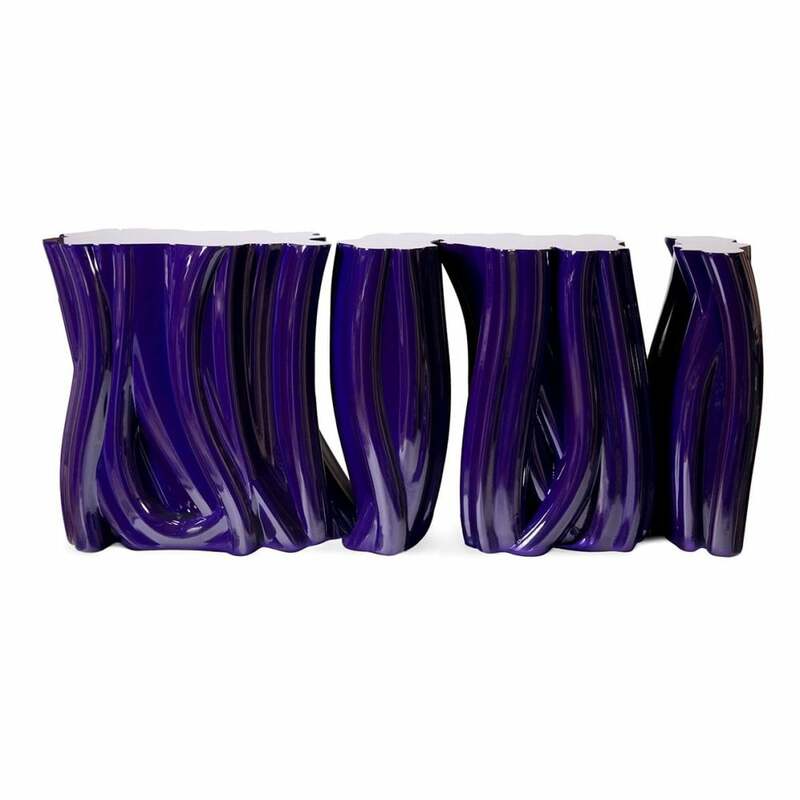 Molded fiberglass filled with expandable polyurethane, high gloss electric purple translucid.